"Unfair competition" is a term that applies to dishonest or fraudulent rivalry in trade and commerce. It's a branch of intellectual property law that particularly relates to the practice of endeavoring to substitute one’s own goods or products in the market for those of another for the purpose of deceiving the public. But it can take some other forms as well. Think of unfair competition as a large umbrella that covers a variety of actions, although most actions fall within one of two categories. The term is sometimes used to address only circumstances where consumers have been duped or misled. This kind of activity is also sometimes referred to as deceptive trade practices. In fact, unfair competition includes these actions as well as others designed to restrict or alter a company's revenue. In all cases, the activity can legally give rise to a tort action. That is, the wrongful act is such that the perpetrator can and should be held civilly liable in a court of law. Some forms of unfair competition are crimes as well. "Unfair" doesn't mean the same thing in every situation. Unfair competition can have different connotations in various business settings and depending upon the nature of the commerce. Unfair competition in a retail store setting can be a far different practice than what a pharmaceutical company might engage in. It should also be noted that unfair competition typically does not refer to antitrust legislation or monopolies. The Uniform Deceptive Trade Practices Act addresses specific types of unfair competition recognized by different states. "...imitating or counterfeiting the name, title, size, color scheme, patterns, shape or distinctive peculiarities of an article. It can also occur by imitating the shape, color, label, wrapper or general appearance of the package in such a way as to mislead the general public or deceive an unwary purchaser." Acts of unfair competition are generally characterized by deception, bad faith, fraud, or oppression—the competition is such that the victim is thwarted or prevented from successfully engaging in trade. They're perceived as being against public policy because of their tendency to unduly hinder competition and this affects the greater good of the public. Unfair competition laws have been established to protect consumers and businesses and to help prevent illegal merchandising. Trademark infringement, such as using the Coca-Cola trademark on a soda container manufactured by a competing beverage maker, is an example of unfair competition, as is false advertising. This might involve making false claims about a drug's abilities to promote weight loss. Unauthorized substitution of one brand of goods for another is an example of unfair competition as well. This could involve substituting a low-cost handbag for a designer handbag. It could also mean false advertising or false representation of products or services, such as exaggerating a software program’s spellcheck capabilities. In either case, consumers are not getting what they thought they were paying for. Bait-and-switch tactics are another example of an unfair competition practice that directly affects consumers. Say that a product in high demand is advertised at a very reasonable price. Shoppers flock into the store to purchase the item only to be told that it's now sold out. But the shopper can purchase a similar model for just a few dollars more—and unsuspecting consumers will often do so. Bait and switch is actually a crime in some states, particularly when the advertised item was never in stock in the first place. Misappropriation of trade secrets is another common instance of unfair competition, such as stealing a competitor’s proprietary formula. Consider an employee who is entrusted with or stumbles upon the exact recipe for KFC's chicken batter. He then rents a fast food restaurant establishment and begins selling chicken on his own using that same recipe. In this same area, trade defamation might involve disseminating written or oral communications designed to harm or ruin a business's reputation. Below-cost selling occurs when a company intentionally and willingly sells a product or service to consumers for less than market rate. A retail seller might actually charge consumers less than what it paid for an item, taking a loss. Another company might sell one or more of its services at a rate that virtually ensures it cannot make money. This type of situation is often temporary and is done with the intention of snagging business away from competitors who can't or who are unwilling to compete. The reward comes down the road when the company selling below cost increases its market share. Dumping is a similar concept. It involves selling products abroad for far less than what they would fetch in a local market. Why? Importing governments often offer several enticements including subsidies and cash incentives. The World Trade Organization is generally fine with this practice. Rumor Mongering is exactly what it sounds like—maligning a competitor through written or oral communications, often placed strategically with the press and other outlets. Some of these examples, such as making false claims about a drug's abilities, technically fall under the umbrella of unfair trade practices, which is a component of unfair competition law. For the most part, issues of unfair competition are addressed in state courts. 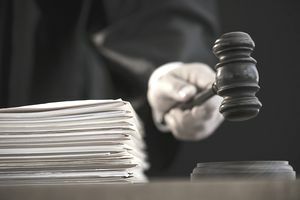 A successful suit brought in state court might result in an order of monetary damages, an injunction against the guilty party continuing with such actions, or both. Federal law covers copyrights and trademarks, however, so cases involving these issues can and sometimes do find their way to federal court. Federal law prevails when federal and state laws conflict. Unfair competition law does not simply protect businesses nor is it solely the domain of large corporations. Small business owners and individual consumers can be hurt as well, as in bait-and-switch cases and instances involving unauthorized substitution. The Federal Trade Commission has become involved in cases where consumers were harmed or lost money, such as in cases of false advertising. Unfair competition laws are backed by the Commerce Clause of the U.S. Constitution. This clause allows Congress to address these types of fraudulent acts. The Uniform Trade Secrets Act has also been adopted by numerous states to deal with misappropriation of trade secrets. Is a BigLaw Firm the Right Type for You? What Are the Primary Job Responsibilities of Trade Secret Law? What Is the Practice of Criminal Law?